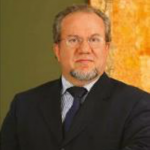 Valcinir Bedin reviews the evidence surrounding the use of different agents in a range of concentrations for superficial, medium, and deep peels. Skin Rejuvenation techniques have been improved not only through technological advances, but also due to society’s preoccupations with health and physical appearance as well as longer life expectancies bringing about these changes. The results of the ageing process are brought about through genetic changes, hormonal variations (intrinsic ageing), or environmental influences such as sunlight, wind, humidity, dermatological diseases, smoking, alcohol, and eating habits1. Changes occurring in the skin through intrinsic ageing lead to dryness, flaccidity, vascular alterations, wrinkles, and a decrease in skin thickness2. Cutaneous ageing due to sun exposure is known as ‘photoaging’. It leads to the degeneration of elastic fibers and collagen, the appearance of pigmented spots, and the formation of pre-malignant or malignant lesions. Ultra-violet (UV) radiation promotes the formation of free radicals, thereby increasing the number of non-localized oxidative lesions. The latter alter metabolism and are responsible for premature ageing, which increases the risk of cutaneous cancer2–4. Skin that has not been overly exposed to the sun is characterized by its spotless appearance, homogenous pigmentation, and soft texture. As the years pass, the speed of cellular renovation slows. Chemical peeling is a procedure that aims to accelerate the process of cutaneous exfoliation and promote cellular renovation through the use of chemical substances. This is a way in which the skin acquires a more youthful and renewed appearance5. Chemical peeling is also called chemical resurfacing, chemoexfoliation or chemosurgery. It consists of applying one or more caustic agents to the skin so as to bring about the controlled destruction of the epidermis and its re-epithelialization. The popularity of the method is explained by the fact that it leads to an improvement in the appearance of skin, damaged by extrinsic and intrinsic factors, as well as any remaining scar tissue6,7. 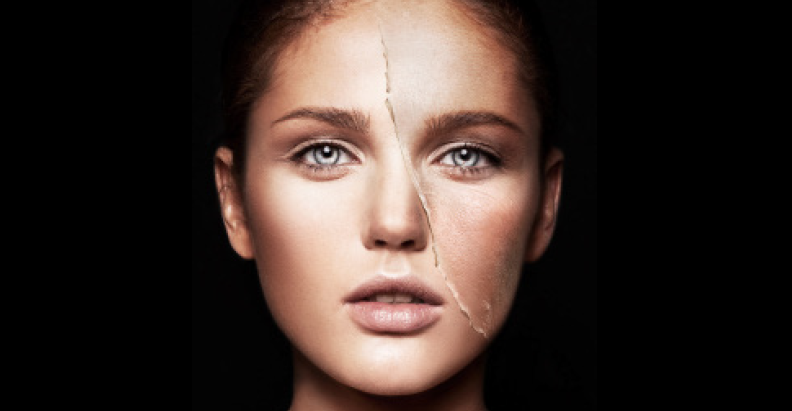 Chemical peeling is classified into three types: superficial, medium, and deep2. Superficial peeling acts on the epidermis. Alpha-hydroxy acids (AHAs), beta hydroxy acids (salicylic acid), trichloroacetic acid (TCA), resorcinol, azelaic acid, Jessner’s solution, solid carbon dioxide (CO2), and tretinoin are used as active substances. Superficial peeling is recommended for cases of acne, light photoaging, hyperkeratotic eczema, actinic keratosis, fine wrinkles, and melasma2. Medium peeling acts at the level of the papillary dermis. It can be used with TCA alone or in combination with the following active substances: TCA with CO2, TCA with Jessner’s solution, TCA with glycolic acid, or resorcine alone. It is recommended for the same purposes as superficial peeling, in addition to being recommended for epidermal lesions. Deep peeling acts on the reticular dermis. Active ingredients used are TCA at 50% and phenol (Baker/Gordon solution), among others. Deep peeling is recommended for cases of epidermal lesions, blotches, scars, actinic dyschromias, moderate wrinkles, keratosis, melasma, and lentigos. Superficial peeling is usually epidermal and offers little to no risk of complications in patients. It can be used on all types of skin and in any area of the body. Jessner’s solution is also used, as is a combination of resorcine, salicylic acid, lactic acid, and ethanol. Solid CO2, or ‘dry ice’, is usually used for cases of acne. TCA, among numerous other active substances, may be employed in formulas (concentrations of 10%–35%) to precipitate medium depth peelings2. AHAs are part of a group of substances used in these peeling categories. They consist of milk derivatives (lactic acid), citrus (maleic and citric acid), grape (tartaric acid), and sugar cane (glycolic acid), but they may also be synthetic in origin. They differ according to molecular size, with glycolic acid being the smallest and yet the most powerful for penetrating the skin. AHAs are effective in treating wrinkles, dehydration, thickening and irregular pigmentation of the skin2. Glycolic acid (GA) is used mostly in cosmetic formulas. Owing to its small molecule size, it has a greater power of penetration in relation to other AHAs. In addition to the concentration used, it is important to consider the pH value of the preparation, which may vary from two to four. The lower (or more acidic) its value, the higher the peeling’s exfoliating action. Its irritant power on the skin (a pH value of 3.5) is ideal for good exfoliation. During the treatment it is important to use a sunscreen for better daytime skin protection8. Glycolic acid, one of the alpha-hydroxy acids, is widely used as an agent for chemical peeling. Although there are several reports about the clinical effects of GA in the literature, its biological mechanism remains mostly unclear, and there are only a few reports about its effects on skin rejuvenation mediated by keratinocytes. Okano Y et al, at the Kobe University in Japan, investigated the effect of GA on the dermal matrix metabolism of keratinocytes and fibroblasts using in vitro and ex vivo systems. The work showed that GA not only directly accelerates collagen synthesis of fibroblasts, but it also modulates matrix degradation and collagen synthesis through keratinocyte-released cytokines. They confirmed that interleukin-1 alpha (IL-1 alpha) is one of the primary mediators for matrix degradation released from keratinocytes after GA treatment. These results suggest that GA contributes to the recovery of photodamaged skin through various actions, depending on the skin cell type9. 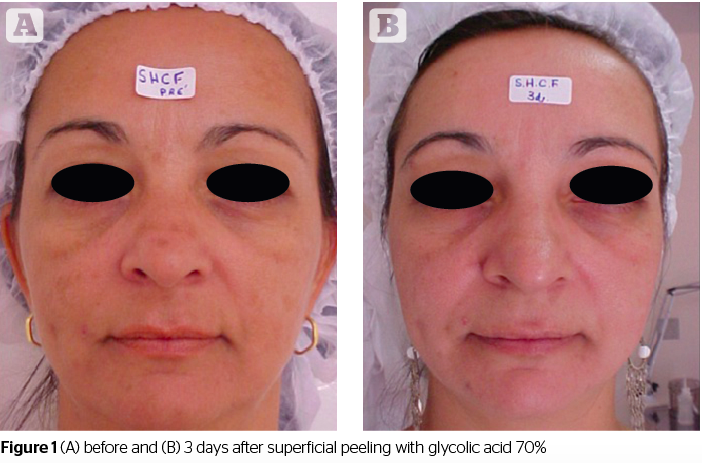 Omi T et al, conducted chemical peeling on the skin with glycolic acid and lactic acid and observed it at the ultrastructural level. No changes in the horny layer or the upper epidermal layer were observed but there was dissociation and vacuolation between the basal cells, and increases in vimentin filaments within fibroblasts and endothelial cells were also observed. These findings suggest that chemical peeling of the skin with these agents directly induces collagen formation within the dermis and thus directly stimulates remodeling of the dermis10. The glycolic acid and pyruvic acid caused minimal inflammation. However, the collagen deposition caused by the glycolic acid and pyruvic acid was disproportionately increased suggesting a direct stimulatory effect by the two agents11. Medium peeling is used to remove actinic keratoses, wrinkles, pigmentary dyschromias, or to improve the appearance of scars. The classic chemical agent used for this type of peeling was TCA, in concentrations of 50%. However, TCA has the inconvenience of causing skin problems, such as the appearance of scars and cutaneous hypopigmentation11. Due to this, TCA has been used in combination with other active substances, such as glycolic acid, CO2 or Jessner’s solution (resorcinol, salicylic acid and lactic acid) to allow for a smaller concentration of TCA to be needed, therefore avoiding such side-effects. TCA acts on the epidermis and dermis, while its active mechanism works on exfoliation and the destruction of the corneal stratum, which occurs after cellular renewal2,9. Another common combination is 70% glycolic acid plus 35% TCA (GA-TCA), and Jessner’s solution plus 35% TCA (JS-TCA). 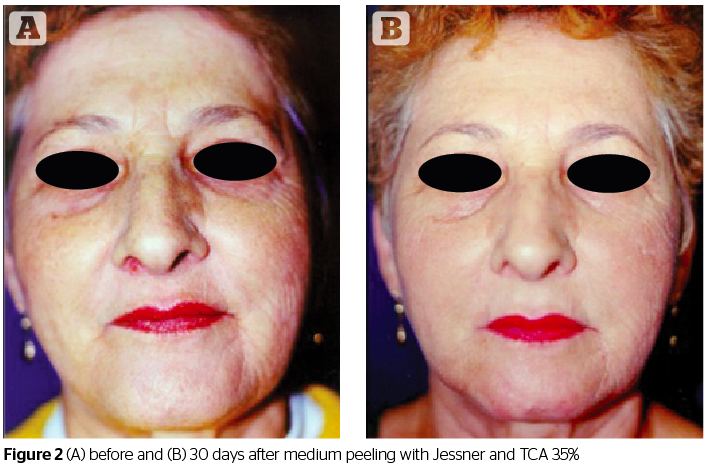 Tse Y et al, performed a study in which they applied the first peel (GA-TCA) to the right side of the face and the second (JS-TCA) to the left side of the face on 13 patients with actinic keratoses, solar lentigines, and fine wrinkling and they were evaluated prospectively. Clinical and histologic changes were evaluated at 7, 30, and 60 days postoperatively. 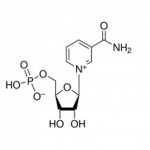 The tumor suppressor protein p53 is a phosphoprotein that is activated by DNA damage. It is involved in the decision whether the cells should stop replication and proceed to repair their DNA, or to die by apoptosis. El-Domyati et al, performed a study to evaluate the effect of treatment modalities on the expression of p53 in facial skin. Biopsy specimens were obtained from the facial skin of 20 patients before and after treatment using topical tretinoin (11 cases), TCA chemical peeling (5 cases), and dermabrasion (4 cases). Biopsy specimens were also obtained from 12 control subjects representing the same age groups of the patients. Topical tretinoin therapy was found to induce a significant decrease in the expression of p53 up to 6 months after therapy followed by a significant increase after 10 months of therapy. However, superficial TCA peeling did not induce any statistically significant change in the expression of p53. On the other hand, dermabrasion was found to induce a significant decrease in the level of expression of p53 in biopsies obtained after complete re-epithelialization followed by a significant increase 3 months later. These changes in the expression of p53 may play a role in mediating the effects of such treatment modalities on the epidermis, as well as prevention of actinic neoplasia by adjusting any disturbance in the proliferation/apoptosis balance observed in photoaged facial skin13. Salicylic acid is used in chemical peeling procedures. However, they have caused many side-effects, even salicylism, a toxic condition produced by the excessive intake of salicylic acid or salicylates and marked by ringing in the ears, nausea, and vomiting. To achieve a salicylic acid peeling that would be safer for topical use, Ueda et al, developed a new formulation consisting of 30% salicylic acid in a polyethylene glycol (PEG) vehicle. In an extension of previous research, the absorption of 30% salicylic acid labeled within a 14C PEG vehicle applied topically to the intact and damaged skin of male hairless mice was studied. An ointment containing 3 mg salicylic acid in a 10 mg vehicle was applied to both groups. In animals with intact skin, 1 hour after application the plasma concentration of radioactivity was 1665.1 ng eq/ml, significantly lower than the 21437.6 ng eq/ml observed in mice with damaged skin. Microautoradiograms of intact skin showed that the level of radioactivity in the cornified cell layer was similar at 6 hours after application. However, in damaged skin, the overall level of radioactivity showed a decrease by 3 hours after application. In the carcasses remaining after the treated intact and damaged skin had been removed, 0.09 and 11.38% of the applied radioactivity remained, respectively. These findings confirm that 30% salicylic acid in a PEG vehicle is little absorbed through the intact skin of hairless mice, and suggest that salicylism related to absorption through the skin of quantities of topically applied salicylic acid is not likely to occur in humans with intact skin during chemical peeling with this preparation. Therefore, this new preparation of 30% salicylic acid in a PEG vehicle is believed to be safe for application as a chemical peeling agent in undamaged skin14. This type of peeling reaches the deepest part of the skin. Its most important representative is the phenol peel. It produces a coagulation of skin proteins and is considered to be a chemical agent producing intense facial rejuvenation when used correctly12. Clinically, phenol produces bacteriostatic effects in minimum concentrations of up to 1%. When above this concentration, it possesses a bactericide action. In the nerve endings of the skin, phenol acts as a local anesthetic12. As a chemical compound, phenol is soluble in oils and fats. In case of accidental contact, it is quickly removable from the skin with glycerin, vegetable oils or 5% ethyl alcohol15. The best-known formula for phenol-based peeling is Baker-Gordon’s (1962) in which phenol is diluted to a concentration varying from 45 to 55%6,13,14. Croton oil is a fixed oil extracted from the seed of the Croton tiglium plant. In the formula, it is a component that raises the capacity of phenol to coagulate the skin’s keratin, as it acts as a promoter of cutaneous penetration in elevating the site’s vascularization. It is considered to be a resin, and its bioactivity is due to free hydroxyl groups. Highly toxic for the skin, croton oil causes edema and erythema. It is insoluble in water and highly soluble in alcohol and benzene (phenol is a monohydroxybenzene)15. Liquid soap, due to the presence of tensoactive detergents as a vehicle in the formula, reduces the superficial tension of fat present in the skin. It eases penetration of the phenol into the skin, and thereby promotes more homogenous peeling. In this way, it also acts as a penetration promotor15,16. Baker-Gordon’s Formula originally used hexachlorophene in ethyl alcohol. 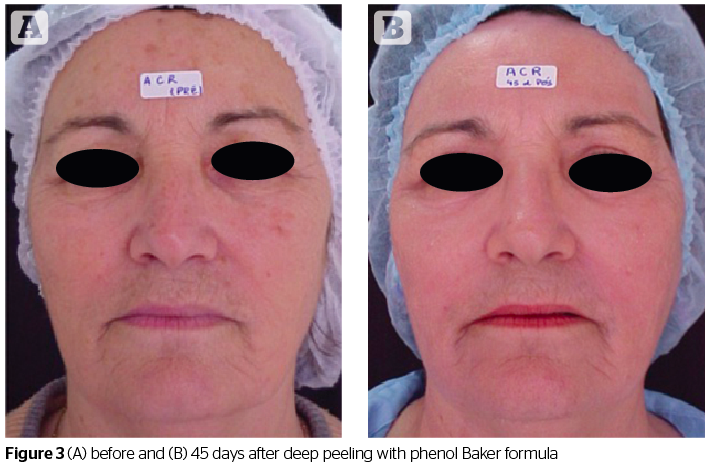 McCollough and Langsdon believe that the aqueous solutions of hexachlorophene may deposit an oily residue on the skin that delays penetration of phenol and reduces the adherence of the tape mask subsequently placed over the peeling. However, the formula makes use of hexachlorophene in ethyl alcohol due to its probable keratolitic action and to facilitate phenol penetration15,16. Water is the vehicle used to reach the desired concentration of phenol in the formula. Moy et al,11 mentions that the intense and deep reaction of Baker’s peeling occurs due to a combination of components in the formula causing an increase in penetration and irritability of phenol. In the absence of these components in the formula, proportional reactions occurred with the concentration of phenol and less intense results on the skin with respect to the power of exfoliation in relation to Baker’s peeling18. Regarding pharmaceutical form, Baker’s formula is a suspension — it is formed by fine particles of a solid component dispersed in a liquid medium. However, it has to be shaken prior to use in order to ensure homogeneity in the application and effectiveness in the treatment19. Phenol in an 88% concentration penetrates the superior reticular dermis and is keratocoagulant, which prevents it from permeating to deeper layers. The phenol diluted in the formula acts as a keratolytic agent. It breaks keratin sulphur bridges and penetrates deeper, as it is ‘bio-transformed’ by the liver and excreted by the kidneys. The higher the phenol concentration in the formula, the greater the coagulation of keratin, and the lower its penetration and toxicity6,14. When applied to the skin, the phenol induces a chemical burn, which in time results in the rejuvenation of the skin. The application for a longer period of time allows for its penetration into the superior dermis, resulting in the formation of a new layer of stratified collagen. Epidermal regeneration is initiated 48 hours after application of the formula and is complete within an interval of 7 to 10 days20. As a precaution, before using phenol peeling, patients who register the following ailments must not be treated: existence of heart, kidney and hepatic disease; appearance of herpes; continual exposure to UV rays; recent use of isotretinoin; psychological instability; predisposition towards keloids; and skin types IV to VI in accordance with Fitzpatrick or Glogau classification (including wrinkle types)2,15. The ideal patient for this type of peeling must have skin that is light in color, fine and dry, or in other words, individuals with Fitzpatrick skin types I and II with fine wrinkles. Men have thicker skin, which reduces the action of phenol and results in a lower effectiveness of treatment when compared to women15,20. Therefore, it is necessary to use more concentrated formulas or a combination of treatments. 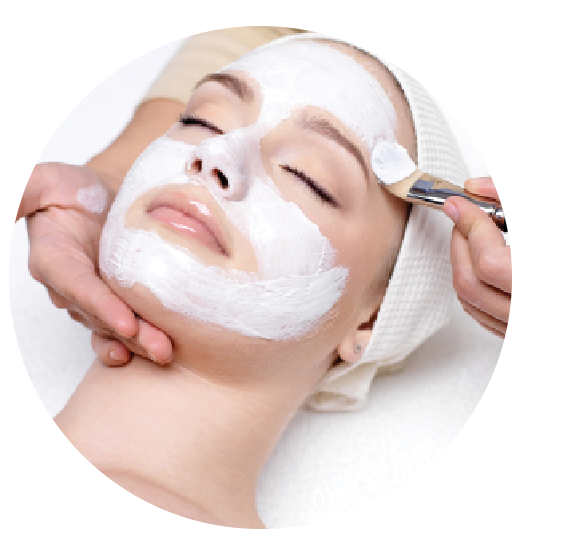 Chemical peeling is a safe and inexpensive procedure to improve the appearance of the skin. 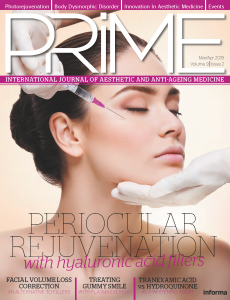 Although the advent of lasers is inevitable, the peeling performed with chemical products has a place in the armamentarium of aesthetic and cosmetic medicine. There are a lot of options that can be chosen by the physician, from the very superficial peels, retinoic acid for example, to the deepest peels, represented by phenol peeling. The latter resulting in intense facial rejuvenation, owing to the action of the phenol employed in the formula that penetrates and permeates the skin deeply. It brings about deep-skin damage followed by a regeneration process with peculiar and long-term characteristics. The Baker-Gordon formula has components that intensify the phenol activity in the skin, acting as permeation promoters. When these components are lacking, peeling loses its effectiveness to promote intense cellular regeneration. In spite of the evident advantages of phenol peeling, the toxicity of the active component and the possible complications in post-peeling require the peeling procedure to be performed safely, according to instructions, and with a medical follow up. Nowadays there are new protocols regarding safety and if used appropriately by the physician, the benefits of the chemical peel will be felt and appreciated by patients. It is an effective method to combat cutaneous ageing. El-Domyati MM, Attia SK, Saleh FY, Ahmad HM, Gasparro FP, Uitto JJ. Effect of topical tretinoin, chemical peeling and dermabrasion on p53 expression in facial skin. Eur J Dermatol. 2003 Sep-Oct;13(5):433-8.